Having an enlarged prostate gland doesn’t necessarily mean you have cancer, as you could have benign prostatic hyperplasia, or BPH. In Torrance, California, Abbey Gaske, MD, offers a variety of urology services and treatment, including those for prostate issues like BPH. If you’re suffering from increased or urgent urination and other urinary symptoms and live in the South Bay or the greater Los Angeles area, call Abbey Gaske, MD, or schedule an appointment online today. BPH, or an enlarged prostate gland, is a common condition in men that leads to urinary symptoms. Your prostate gland surrounds your urethra. Urine passes through this tube as it leaves your body from the bladder. The prostate continues growing over your lifetime, and this continued growth can lead to urinary blockage and a variety of uncomfortable symptoms. Some men also have less common symptoms, like a urinary tract infection (UTI), or the inability to urinate. Based on your initial evaluation, Dr. Gaske might suggest additional testing to confirm your diagnosis, such as urinary flow tests that measure the amount and strength of your urine flow, post-void residual volume tests to look for your ability to empty your bladder, or a voiding diary to track your urinary habits. Treating BPH depends on your age and overall health, your prostate size, and the severity of your symptoms. To increase your comfort, Dr. Gaske might recommend treatments that include medications to shrink the size of your prostate or relax muscle fibers in the prostate or bladder neck muscles. These medications can make urination easier. If your symptoms are moderate to severe and you haven’t responded to conservative treatments, Dr. Gaske might recommend a surgical approach. 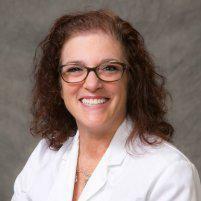 To learn more about benign prostatic hyperplasia, call Abbey Gaske, MD, or schedule an appointment online today.